There are 67 parts to this excellent kit. 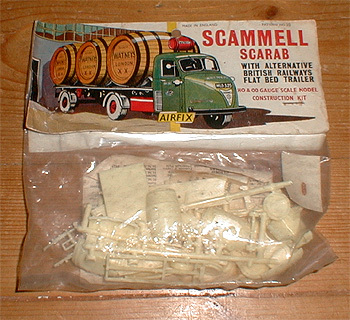 With it you can make a true scale model of the Scarab tractor complete with a choice of trailer. There's a Watney's trailer complete with barrels, or a British Railways flat-bed trailer. Take your pick - you get them both.